Ensure that when your customers search for you online they can find you! Optimising your Social Media (not just your website) for search engines is a task overlooked by many. Use these tips to get the jump on your competition. You are doing great work on your Social Media. But if new customers go looking, can they find you online? Search Engine Optimisation (SEO) is a term normally used to describe work done to your website so that it ranks higher in the search engines, meaning that when people search for your product or service online, they will find and visit your website and not your competitors’. To ensure that customers are able to locate not just your website, but also your Social Media profiles when they go looking for you online, your Social Media must also be optimised correctly for the search engines.It’s a given that customers are spending more time researching online and checking out your business online BEFORE doing business with you.Imagine if someone types your business name into Google and the search results return your website and your five Social Media profiles. Impressive? Definitely.Make sure to write unique information in each of your “About” sections for your Social Media profiles. It is important that they are unique and you have not used the same text anywhere else on the internet. Google does not like ‘duplicate content’.Include the name of your product or service (your keywords) into your “About” section on your Social Media pages. This further prompts Google and the other search engines to show your profiles in the search results for these terms.Create links back to your website in your Social Media pages.Monitor your SEO progress using a tool like MOZ Pro — it can monitor your Social Media SEO along with your website SEO.Even if you don’t have the intention of using certain Social Media channels for your business at this time, be sure to still register them for your business for future possible usage. This will prevent your competitors getting their hands on them in order to strategically block you out from using them in the future.Cross-promote everything as much as possible. For example, if you use Instagram, why not include a live feed from your Instagram channel into your website? Ask trusted clients and/or buyers to write a review or a favorable comment on your Facebook page. Each time you notice or get notified that someone has left a really good “Post to Page” on your Facebook page, you can then ask your Website Designer to embed it within the testimonials (or Guestbook) section of your website. This further extends the usefulness and visibility of the review. (Editor’s note: this is a relatively new feature from Facebook and a great one to use).Consider utilising the “Notes” section within your Facebook business page. Using it can be a great way to publish slightly more in-depth information for your target audience to read. Because the notes always remain visible in the sidebar of your Facebook page, they will be seen by your Facebook page visitors for a long time into the future. 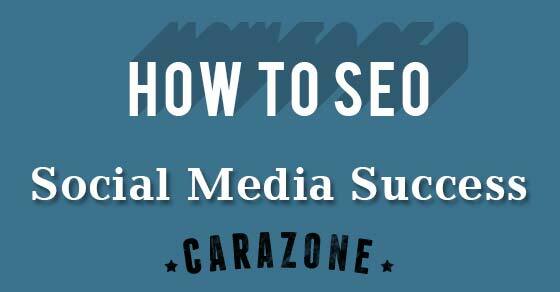 0 Response to "How to SEO Your Social Media Success"